At First Colonial Inn, residents can always find something fun, stimulating, and enriching to do. First Colonial Inn resides on 6 beautifully wooded acres, delivering awe-inspiring natural beauty amid colonial style architecture. A lovely fountain welcomes you along with a tranquil duck pond surrounded by stunning perennial gardens. Whether you're looking to enjoy the great outdoors or take classes to learn a new skill, First Colonial Inn has it all. 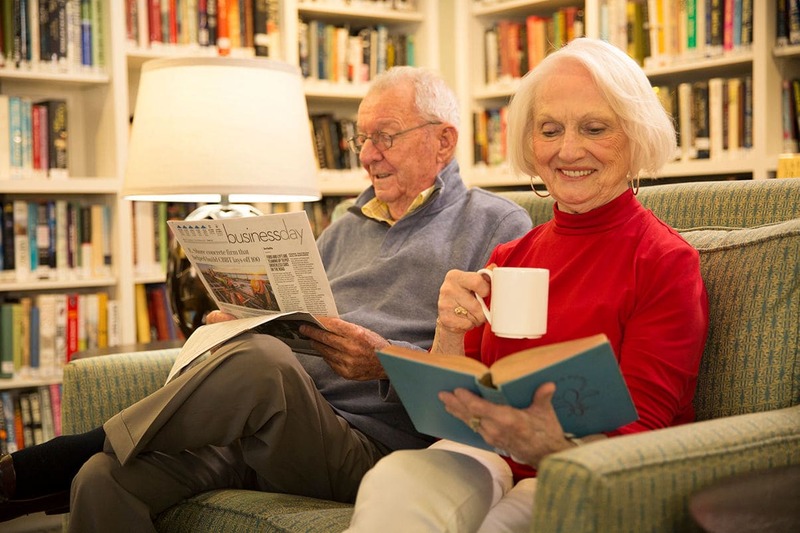 Among this warm and welcoming retirement living community, residents enjoy a wide array of programs to choose from - all of which uplift the mind, body, and spirit. Take part in chair yoga and Zumba to keep the body limber and maintain a healthy lifestyle. Enjoy a tranquil environment by relaxing during a movie night, listen to classical music, or play poker with a group of friends. All of our wellness programs offer residents the opportunity to get to know one another and create a comfortable and welcoming environment. With a wide array of wellness programs, residents of all fitness levels can enjoy a renewed energy level and sense of strength. Take a minute to browse our upcoming events calendar to see what could be the start of a whole new enhanced lifestyle. Come visit the Farmer’s Market at First Colonial Inn between 11:00am to 2:00pm the 1st and 3rd Wednesdays from May-August and choose from a wide variety of locally grown produce and locally made products. Hope you can join us!